AniDB’s data is populated by its users. Unfortunately, not all of them are as careful as others about providing complete entries for the character data they add. Many of the minor characters get entered but never linked to the rest of the story. We needed to find these missing/orphaned characters so they can be investigated and cleaned up by the AniDB staff. The question we were trying to answer was, “out of any character in any Pokémon series, who doesn’t have some sort of relationship to Ash/Satoshi (the main character)?” It’s almost impossible to not SOMEHOW be related to the main character. Because of how the reporting system is setup, we also wanted this to be a single query so we could just throw it in a report. AniDB’s tables are setup a little weird. This is in part due to necessary design and in part due to historical reasons that stem from organic growth. This design is part of the complexity of the problem. aid -- Foreign Key to animetb. The subject anime. type -- What kind of relation. Sequel, side-story, OVA, etc. So to start with, we had the original Pokemon anime that started it all in 1997. This is anime id 230 in our system. We need to traverse the tree structure of anime relations to get a list of every anime related to the original Pokemon. This in itself can be quite complicated. Here’s a graph of how all these anime are related. To do this I needed a great feature of PostgreSQL called Recursive Common Table Expressions (CTEs). To explain how these work, lets go through the (slightly modified) example in the PostgresSQL docs. Our recursive query will then get run again with the above set of ids returning another, third set, and so on until we have no more results. This gives us a list of all the Pokemon anime that we can use to get all of the character ids. To pull these character ids will require use of another table from AniDB. parentid : The 'guise' for the character. That gets us halfway there! Now we just need all the characters related to Satoshi to compare the set to. The parentid/guise from the table above was the first type of relationship tracked in AniDB. The guise is used to associate alternate forms of a character. Because this relationship is chronological in story lines, it can usually be represented this way without any problems. As time passed, a real relations table had been added. However, since guises were already in the chartb, these were never moved because of the number of changes that would be required to do so. Technical debt is incurred, but usually we can work around that. However, eventually this system was further abused by some of the data entry people. The ‘wild’ version of a Pokemon was created and guises were created for more specific versions of the individual trainer’s instances of these fur balls. This brings us to where we are now. next : The object of the relation. Also a FK to chartb. For example (and this will get geeky), Satoshi and Fushigidane are related to each other as Fushigidane (Japanese for Bulbasaur), which is Satoshi’s personal trained Pokémon. 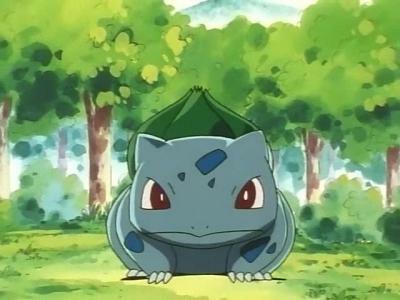 Fushigidane is a type/guise of Bulbasaur. Bulbasaurs can evolve into any Ivysaur. Thus all 3 forms in the system are “related” to Satoshi. Or for even crazier example. A Clefairy/Pippi is a type of Pokemon. 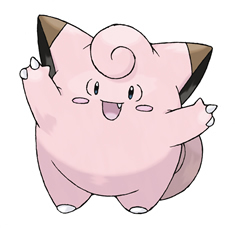 These are a guise of a particular Clefairy (id 23859) that was trained/owned by Akai Isamu(id 23857). 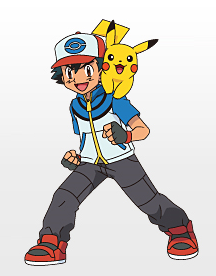 Akai also has another personal trained Pokemon (id 23858) that is a Pikachu type/guise (id 69). That, of course, is also a guise to the Pikachu (id 8091) that everyone knows and loves belonging to Satoshi (6693). Therefore, all of these characters are related to Satoshi. Basically, we pull in everyone who was related, or a guise of the character, and then keep iterating over them. We throw them all into the array, and then unnest it for the final result set. Because we UNION everything we remove any duplicate values and keep us from going into any possible loops (important!). The editors were thrilled and this has started to become a new report for helping clean up the system! Finally we could catch them all! PostgreSQL was chosen as the database for AniDB because of its reliability and ability to do these tough reports. It’s not a decision we’ve ever regretted.